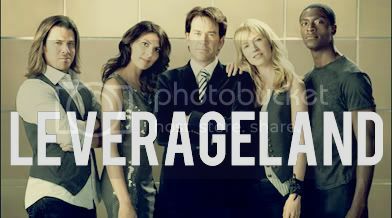 leverageland is an interactive challenge community for the television show Leverage! Participate in challenges such as writing, graphics, puzzles, games and media. The four teams are Hitter(Woot Woot!) Hacker, Grifter and Thief. Join up, its a lot of fun! And don't forget to put my username down for who referred you! Oh...that sounds exciting...maybe I should sign up...no wait, I'm already on your team. Damn, I would've loved to get you extra points, lol ;).